THUMBS UP FOR BUDGET 2018! All eyes were on Budget 2018 as the Minister of Finance outlined the government’s fiscal agenda for the coming year on 9 November. The budget was duly approved by parliament and has received a somewhat warm response from major economic stakeholders – although it may be too early to make a firm call on this given that the true test of effectiveness lies in its implementation. The latest LMD-Nielsen Business Confidence Index (BCI) survey, which was conducted hot on the heels of the budget presentation, presents a few revelations of its own – and its outlook is largely optimistic. THE INDEX The BCI climbed up to 119 in November from 106 in the previous month, edging ahead of its 12 month average (117) but lagging behind the all-time mean of 130. And while it is still 25 basis points below where it stood at the same time last year, the 2017 budget aftermath saw the index reel by a massive 21 notches – to no one’s surprise, it must be said! THE ECONOMY The outlook for the economy has also improved with 18 percent of respondents stating that ‘it will improve’ in the coming 12 months – this number remained at around one in 10 in the two months prior. Nevertheless, the majority (43%) of those polled expect economic conditions ‘to stay the same’ – and this count has remained stagnant for three months. 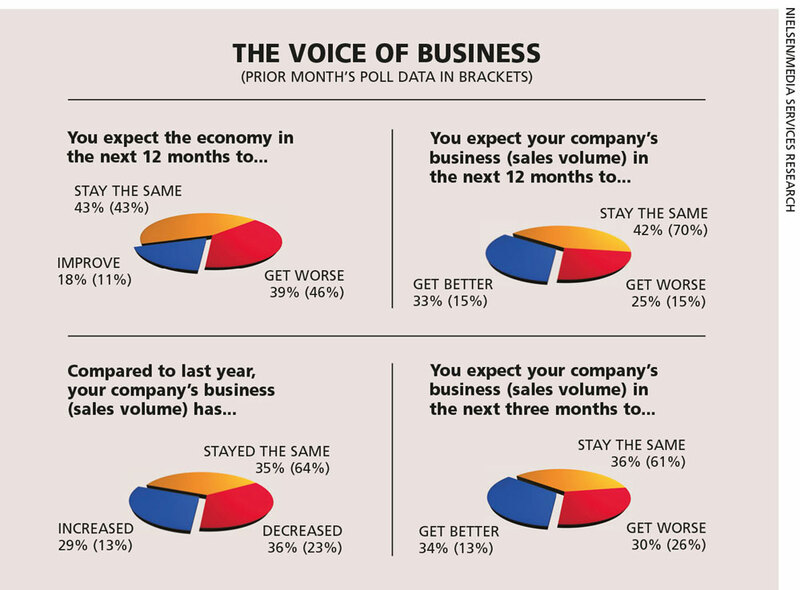 BIZ PROSPECTS Views on business prospects witness a dramatic improvement with as many as one in three respondents foreseeing better times ahead both in the long and short terms, compared to 15 and 13 percent respectively in the previous month. INVESTMENT Sentiment regarding the investment climate also inched higher as almost one-in-five of the businesspeople spoken to by Nielsen call it in the positive range compared to a paltry seven percent in October. WORKFORCE More than a third (up from 8% in October) of those consulted by the pollsters point to an increase in their company’s workforce in the next six months; and six in 10 say they expect to maintain their employee numbers over this period while only three percent feel they’ll have to resort to staff cuts. SENSITIVITIES Inflation, taxes and interest rates remain the major concerns for business, and any positive signals have yet to emanate on any of them thus far. PROJECTIONS Last month’s BCI survey offered little cause for corporates to rejoice with apprehensions ahead of the budget presentation seemingly affecting their views and disruptive strike action also undermining confidence in business circles. But the index bounced back in November albeit with lingering concerns over the broader economy. Governance issues also continue to hamper the corporate outlook, judging by the reactions of businesspeople in the latest BCI poll – and therefore, the upcoming local government polls will likely draw further attention. If only the powers that be can get their act together, there’s no saying how high the index could climb in the months ahead… but it may be naive to get one’s hopes up just yet! For the moment at least, the budget proposals seem to have done the trick.